Happy Halloween photography is a great option for shooting both couples, friends, families, kids and everyone who wants to show mystical mood of this day with the help of beautiful and even creepy photos. In addition, such an image will be also an interesting opportunity for young parents looking for a way to capture their kid in bright, thematic looks. This festive day has long been a popular holiday, not only in English-speaking countries, but throughout Europe. People dress in bright carnival costumes, mainly of abstract evil or supernatural characters. If you want to make a thematic picture on the eve of the holiday or just like that, you cannot make it without a special props, festive costume and a good mood. Think about the scary effect you want to get and start getting props for it. Every spontaneous moment was planned and prepared for a long time in advance. 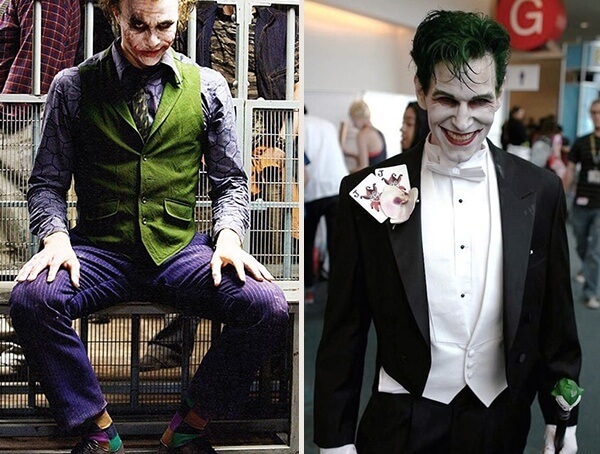 It is necessary not only to prepare your costume, but also to figure out where and how the shooting will take place. 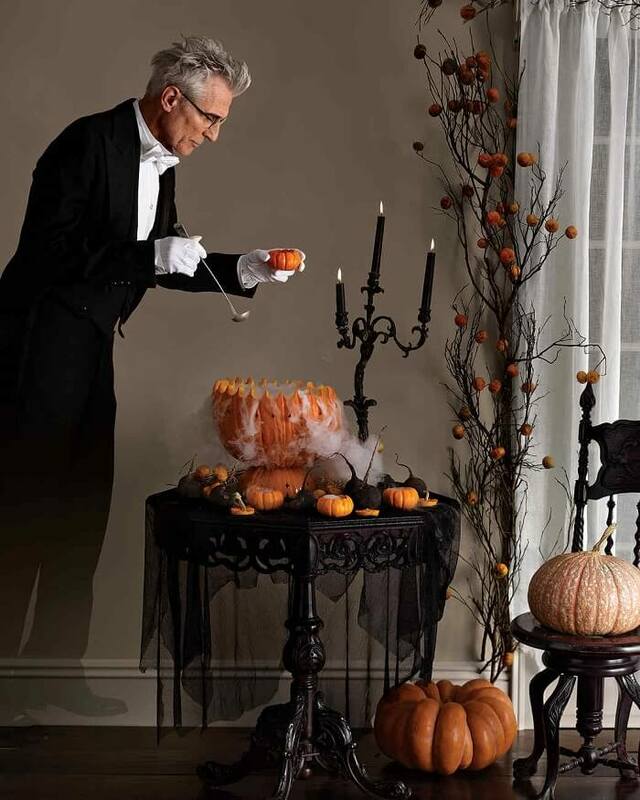 Think about all possible accessories — lanterns made of pumpkins, candles, brooms for witches, etc. 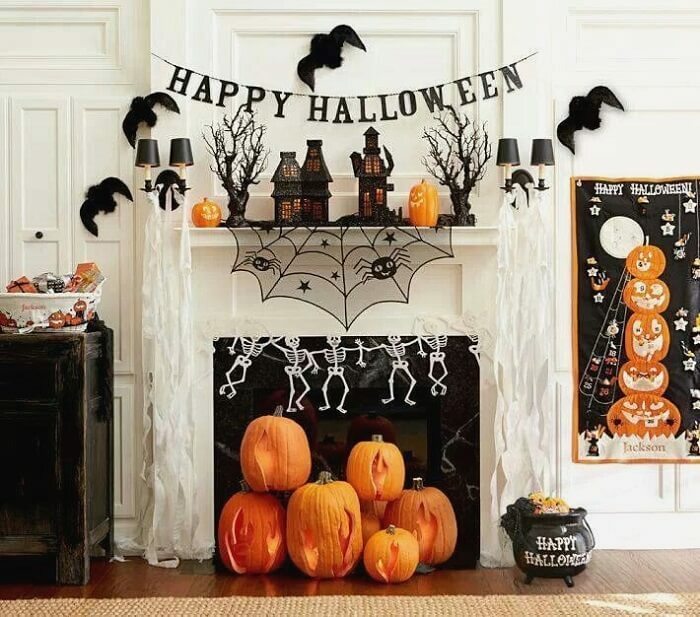 It is recommended to decorate location in black and orange colors. The end of October sometimes may give you a bad surprise with an awful rainy weather. Therefore, if there is a will to make an outdoor pic, then it is better to choose a day with a good sunny warm weather with enough lights, like in the end of September. You can go out and talk a walk in the forest to find some creepy landscapes, which will permit you to finalize the image you have chosen. A great place for thematic portraits is also a studio room. A clear advantage in this case is availability of professional equipment to provide as more light and flash, to reduce editing process afterwards. First of all, unlike simple night shooting outdoors, studio photos will not directly depend on the weather. Secondly, not everyone can calmly relax and feel confident surrounded by other people and cameras in the street. In addition, a studio is also the best option for spooky backdrops and colorful photo. After all, here you will be able to fully control the situation, as well as pick up successful angles and poses for cool Halloween pictures. Working indoors will permit you to relax and enjoy the moment. Some scary costumes require maximum concentration and acting. Otherwise, everything is going to be spoiled by artificial smiles and wrong poses. Avoid worries and watch the camera lens, following every single advice of a photographer. Be sure that whatever preparation you do and money you spend for all possible props and accessories, camera decides everything. Get informed on all the options to set on before the shooting. In case if you have hired a professional, you can be calm and relaxed. Otherwise, learn black and white balance, exposure levels, photoshop tools for levitation or ghost effect and, of course, use a tripod to avoid small shakes and improve the quality. 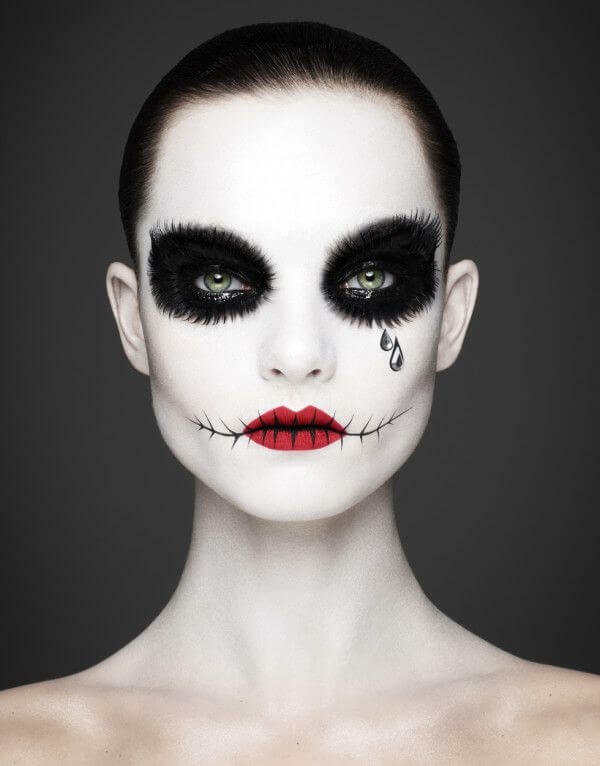 If you are planning a professional scary halloween photo, then it is better to hire a professional makeup artist who will definitely create the best image and appropriate look. It is not difficult to make a spectacular DIY makeup. But professionals know and use special techniques in their work, which can make the model absolutely stunning. This festive theme allows you to choose a bright and even funny makeup. Only in such occasion it will be relevant to use shadows in dark colors (gray, black, maroon) and make your face white instead, to create more contrast. Watch your hair and make it look equal to the image you have chosen. Only attention to every detail can make the general look corresponding the costume you are wearing. 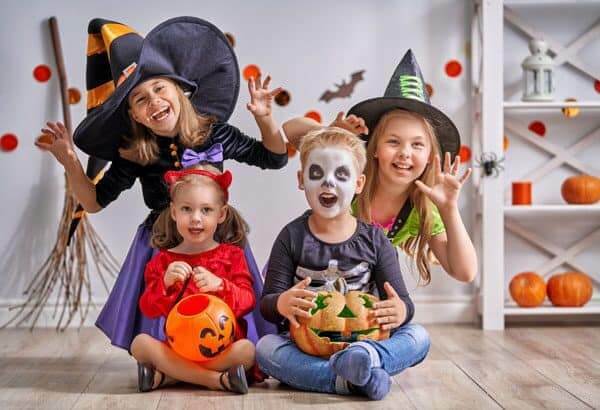 Girls can choose variety of images for awesome halloween pictures, both traditional and following latest fashion trends. Of course, there are few girls who want create an image with makeup that destroys their appearance. If you want to be sure that pictures are going to be attractive and sensual, you should choose a seductive image of a witch. Being one of the most used costumes many girls like to try on such a mysterious outfit. To create such an unforgettable look, special attention should be paid to hairstyle and makeup. It is essential to randomly dissolve your hair, or even ruffle and paint it better, but make-up should be very original — black eyes of unnatural shape and unusual lip color. Guys usually choose traditional image of vampire or pirate. If you want to try on a new look for great shots, you can dress up as a knight, noble warrior or romantic Hemingway in a pilot's jacket and flight helmet. Brave images of Freddy Krueger are very popular, as well as policemen and firemen. Beloved ones, as a rule, choose romantic images. The image of Bella and Edward — heroes from “Twilight” is very common and original. Fans of classics and vintage can be transformed into a gentle Assol and fearless Gray. Looking for something funny and original, Frankenstein with a bride or a pair of zombie lovers can become really a winning combination. Much attention should be paid to backgrounds and small, but significant details, not to destroy the image you are working on. 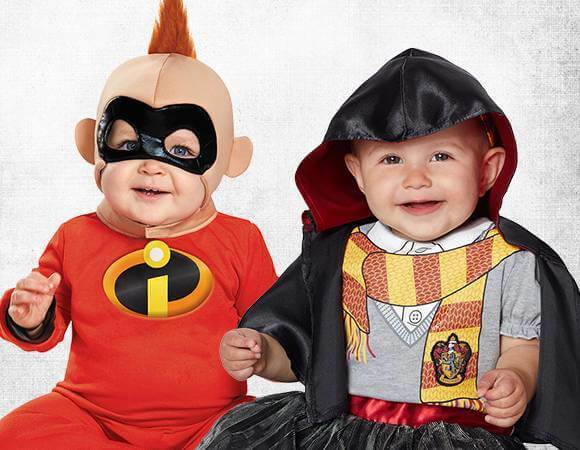 Family look can be very interesting, if both adults and babies choose general idea of ​​costumes and makeup. 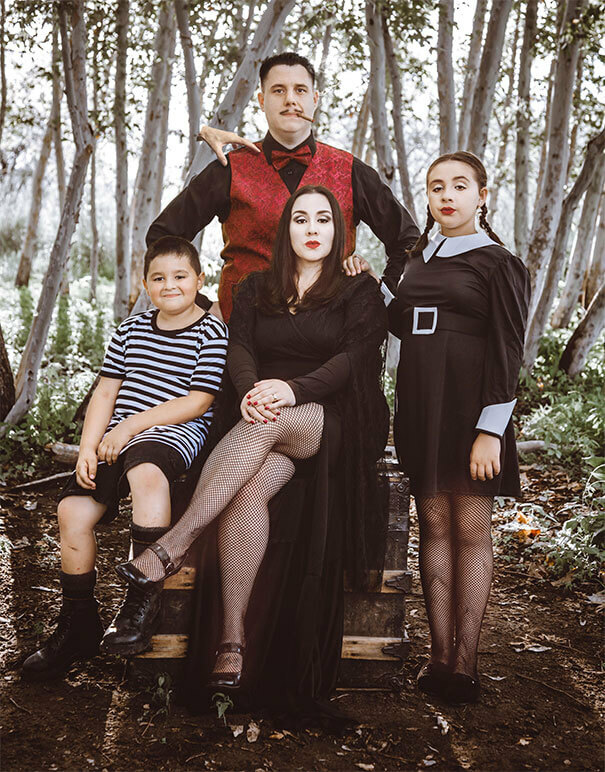 For example, you can easily transform into Addams family or simply become various animals. If you plan to arrange everything at home, then it is not necessary to dress up in monsters. 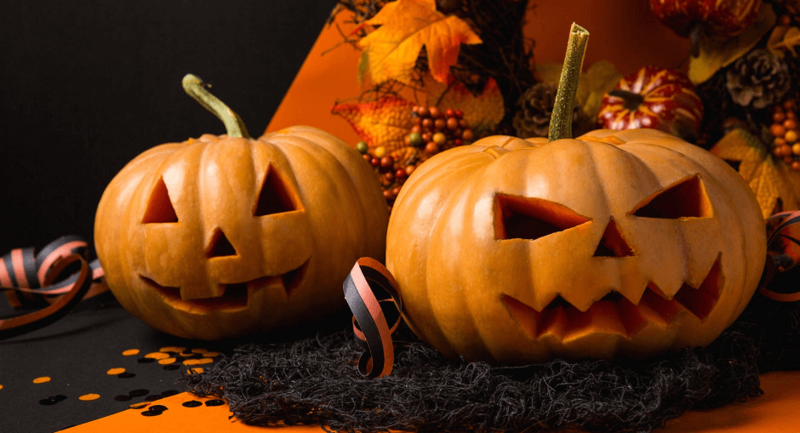 You can capture preparations for the holiday: decorated house, prepared treats, the process of cutting out lanterns from a pumpkin. It is better not to pose artificially and let the photographer take the family in its pre-holiday troubles as naturally as possible. 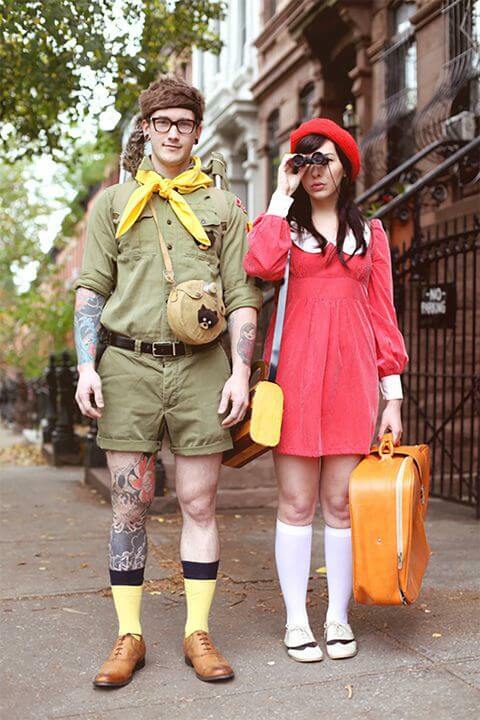 A costume game with cartoon characters, anime, video games, movies, comics, books, legends and myths — is always a good Halloween photo idea to try on and find out if it suits the character. Picturing kids should not be intimidating; you should choose funny and cute images. It is entertaining to find and organize a picture with cute pumpkins. Baby girls can try on images of little fairies or elves. Boys can try images of a good or evil wizard, knight, pirate or even a ghost or bat. Try to realize your idea and the result will be an original, small story, reflecting emotional state of your hero, and not a model photo dressed in a wrong costume. This process will certainly give you a lot of pleasant emotions and colorful pictures, especially if you organize a costume contest. 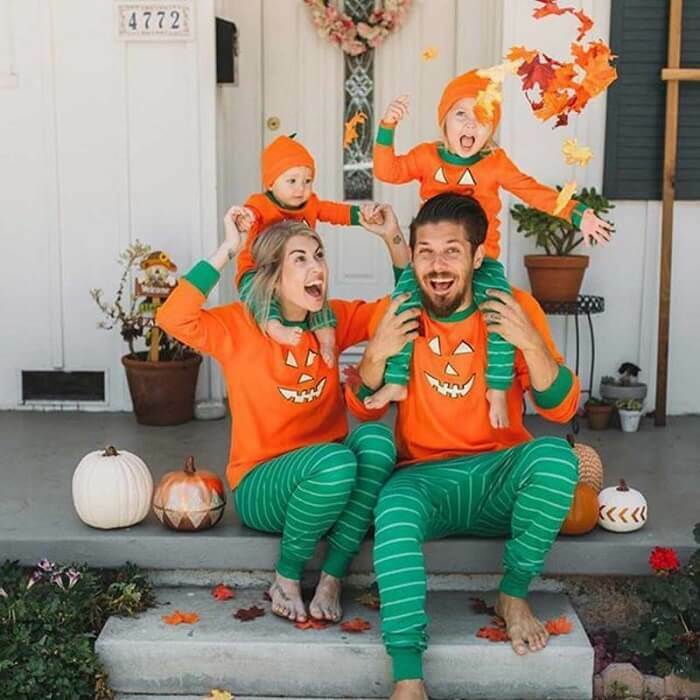 If it is a newborn child, you can put him on his tummy on a plaid, decorate the playground with candles, traditional pumpkins and other accessories. The most important is not to forget about safety — kids are very curious, put candles and dangerous objects away from your little researchers. You need to carefully prepare a suitable background at home, so as not to photograph every hero against the landscape of routine objects. For most characters, Gothic interior is great. At home, you can create it by draping the background with black, dark blue or burgundy fabric. Highlights can be added with appropriate accessories — forged candlesticks with ghost candles, metal cups inlaid with stones, etc. If you want to make interesting pictures and not just pose in the image, you will need to not only find the right entourage, but also come up with a story plot. For example, a vampire can be captured while preparing for a bloody meal, and a witch at the time of making magic potions or “flying” on a broomstick. 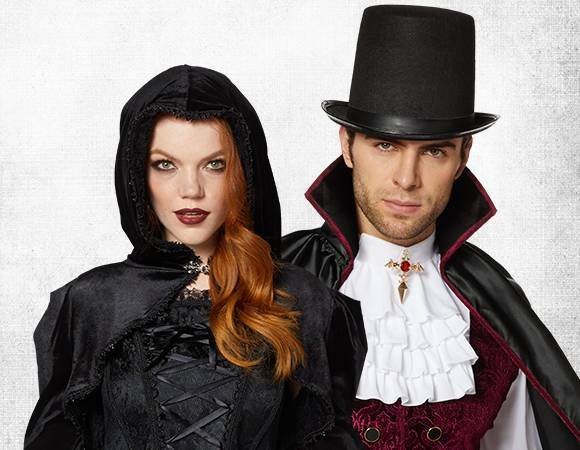 Do not be afraid to try big variety of costumes, looking for the one that suits your personality. For example, Queen Cleopatra, Cinderella or Snow White. It is also a good reason to choose a rarely used images, like Leela, from the “Fifth Element”, if you have the courage to wear her costume. Woman vampire. Such an image for a Halloween photo shoot, complemented by corresponding amazing silhouette and makeup, will delight everyone. Every girl wants to feel strong and bold from time to time, and such an occasion is the best excuse to reveal your darker side. Also, work in advance with poses and facial emotions, and unique pictures will become your great prize. Festive horrifying scenery. This is the simplest idea for those who like their natural faces, because it does not require dramatic reincarnations and acting. Choose your favorite outfit, make a festive makeup, highlighting your eyes and lips, and thematic decorations and skills of your photographer will do all the dirty job. Increase aperture and find new angles and details to memorize. This moment is worth to be captured and enjoyed.